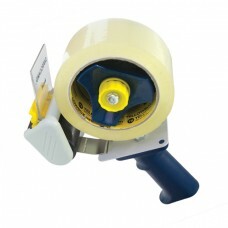 A handheld tape dispenser AKA tape gun is commonly used in activities requiring high usage of adhesive tapes. It is designed to easily dispense box sealing, filament, film, label protection and pouch tapes. This simple device can easily multiply work efficiency and accuracy of an operation. 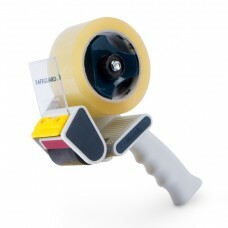 Used for quick and convenient dispensing and cut off of tape. OPP tapes are ideal for carton box sealing due to it's adhesive strength as well as cost efficiency.